In three volumes - Visual Art , Music and Words - chilean editors of Metales Pesado presents an extensive dialogue between John Cage and Joan Retallack poet and essayist. Originally published as Musicage: Cage Muses on Words , Art and Music , conversation thematically reviews the main areas of interest of the American composer, whose work broke the musical field and spread to the plastic and performing arts and writing. Over a series of conversations that were recorded in their loft in New York , from July 1991 until October 1992 , a few weeks before his death , Cage reconstructs aloud its relationship with different disciplines. These books represent the first complete account of his artistic production, giving us new clarification of his person and a more complete picture of the state of art in the twentieth century. "Cage was a prominent composer, musician, writer, poet, mycologist, visual artist and inventor. Their work is associated with performance, theater , dance and generally an experimental approach to the work of art, blurring the lines between different arts and relating them to everyday life subjects . Though undoubtedly influence and recognition in the art world, a figure Cage remains understudied, with this second volume in the approach we hope to contribute to his legacy, giving the reader a broader and closer perspective of his work . " With New Year around the corner, Proa Library presents a series of special offers for the study of contemporary art. 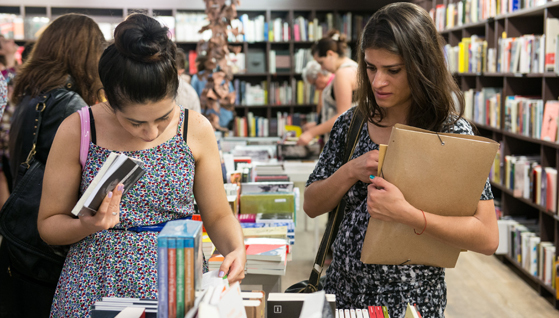 As part of its anual editions, Proa Library reissues its classic Artist notebooks and the Argentine writers postcards, in a pack that also includes Argentine novels edited by Interzona. Available is also the catalog for the current exhibition: Ron Mueck. 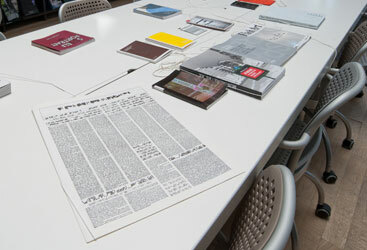 Proa's Library celebrates its fifth birthday with a special offer: books by Argentine writers such as Arturo Carrera, Washington Cucurto and Rodolfo Fogwill, and a special limited edition of postcards with their portraits, photographed by Sebastián Freire, and text fragments selected by Daniel Link. The portraits were part of the sound installation "En obra", present in the Buenos Aires exhibition. The books all belong to authors published by Editorial Interzona. Librería Proa recommends two books from the protagonist of the film released in Proa Cine, Mumblecore: Megan Boyle and Tao Lin. “antología de entradas inéditas….” consists of a series of drafts in blogger.com and annotations of its author, Megan Boyle, in a Word document while she was living in Baltimore between 2009 and 2013. In this book, translated to Spanish in 2012, the author combines immediate observations of everyday life with confessions lists about her relationship with men, drugs and all the lies she committed along her life. This diary that was meant to be blog but became a book leads us, page after page, on a tour of her honesty and courageous thoughts. For its part, Tao Lin’s book, “hoy el cielo está azul…” collects short stories about depressed, lonely, alienated and low self-esteem people. Their characters force us to face with confusion, boredom, the fleeting feeling of happiness and frustration of who is dominated by emotions and social phobia. Megan Boyle and Tao Lin belongs to a new literature generation called alt lit, a set of scripts developed around social networks and blogs. Cecilio Madanes staged a play for the first time in Pasaje Caminito on Dcember 18th, 1957. The experience was supposed to last for fifteen days, but due to the box office success, the good reviews by the press and the warm approval by the neigbours of La Boca, the seasons lasted for sixteen years. Madanes offered “sainetes”, farces, operettas, musical comedies, with texts by authors such as Goldoni, Molière, Federico García Lorca, Gregorio Laferrére, Victor Hugo and William Shakespeare. He got support from the City Council of Buenos Aires: year after year, the National Endowment for the Arts gave him a credit to help him face production expenses, and the "Setecientos amigos del Teatro Caminito" (“700 friends of Teatro Caminito”) gave the seven hundred chairs that filled the theatre. Fifty years later, Didascalias del Teatro Caminitoportrays those summer nights when Jorge Luz, Beatriz Bonnet, Aída Luz, José María Langlais, Diana Maggi, Juan Carlos Altavista, Hilda Bernard, Jullio López, Ulises Dumont, Antonio Gasalla, Edda Díaz and many others performed while the neighbourhood served as host under the stars. The stars of Teatro Caminito. Declared of Special Interest by the Ministry of Culture through the Sponsoring Law. The edition Art of Contradictions. Pop, Realisms and Politics. Brazil - Argentina 1960 contains a body of works and texts that evidences the effervescence of artists, as well as the challenges they faced, as they navigated the eagerness to modernize and the urgency of revolutionary struggles. In the rigorous selection of texts in the over 250 pages of this volume, Paulo Herkenhoff and Rodrigo Alonso—coordinators of the publication and curators of the exhibition—formulate a reflection on the conditions that led to the expansion of the limits of art in both countries; they provide further research into a critical moment in recent history. The edition contains never-before-published texts by the exhibition's curators and by researcher Gonzalo Aguilar who discusses the changes that took place on both art scenes. Historical texts from the decade as well as artists' manifestos and an extensive timeline demonstrate the coexistence of the diverse events, ways of thinking and points of view operative in an art of contradictions. An excellent dossier with works and reproductions of images provide the reader with an iconography of the period remarkable for its versatility, complexity and relentless pursuit of a new image. Art of Contraditions. Pop, Realisms and Politics. Brazil – Argentina 1960 is a crucial bibliographical reference on a decisive chapter in the history of 20th-century art. Purchase by phone available with credit cards. Scenes of the 80s. The early years presents a major set of unpublished photographs that reflect the dialogue among artistic productions in alternative circuits in Argentina, from the end of the military dictatorship (1976-1983) until the beginning of the civil government. As a result of an extensive research, the publication reviews a time characterized by the occupation of public space, the creative boom and the use of the body as a vehicle for political and artistic expression. Through painting, photography, theater, photojournalism, music and the media, the catalog goes over the expectations of those years, and reproduces works and a register of actions and events. Scenes of the 80s includes texts by Roberto Amigo, Ana María Battistozzi and Lucas Fragasso, providing three different perspectives on a complex and heterogeneous artistic map. According to Ana María Battistozzi, "The first years were a time of an emerging enthusiasm which aimed to coming out of enclosure, even with a deep awareness of the tragedy and the years under terror." In words of Lucas Fragasso, "For those young artists working during the transitional years (...) there was something missing that their reality could not provide." Roberto Amigo, in dialogue with Silvio Zuccheri's images, reflects on a vital chapter of our history. The pictures reproduced in this book were shown at Proa in the exhibition Scenes of the 80s. The early years (2003-2004), curated by Ana María Battistozzi. The texts of this catalogue reflect part of the major research carried on for the exhibition. Proa's Library launches a series of special publications of the artists participating in the exhibition Air de Lyon, along with the catalog of the 11th Biennale de Lyon (France, 2011): A Terrible Beauty is Born. This exceptional book was conceived as an automous piece, independent from the Biennale, and features a selection of literary texts and reproductions of works of art. 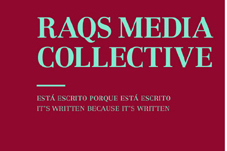 An outstanding editorial project by Victoria Noorthoorn (invited curator of the Biennale and of Air de Lyon), the writers Carlos Gamerro and Rubén Mira, and the playwright Alejandro Tantanián. 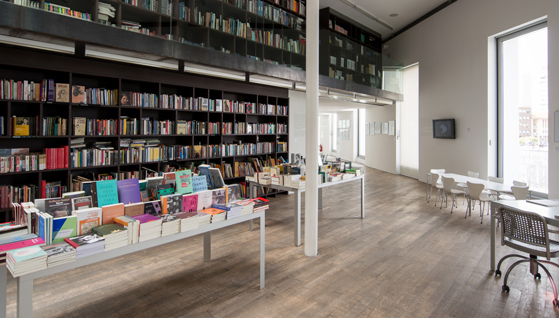 Specially conceived as a library of independent publishers, artists' books, design, architecture, photography and visual arts in general, Proa's Library features books that accompany Fundación Proa's activities as well as major publications of the alternative editorial circuit. The publication Gods, Rites and Trades in Pre-Hispanic Mexico presents a group of outstanding and never-before-seen archeological pieces from the different cultures that inhabited what is now the Veracruz region on the Gulf of Mexico. From the perspective of the present, this publication makes it possible to accurately recreate and delve into the aesthetic experience and symbolic efficacy of each object and representation. It is the first catalog to bring together pieces from thirteen museums, two cultural centers, an archeological site and the Instituto Nacional de Antropología e Historia de México (INAH). The publication includes gods, with their multiple functions and the breadth of the formal approaches developed in their name; rites and the objects connected to ritual celebrations and the embodiment of divine attributes; and trades in the form of objects that evidence the remarkable production of groups of craftsmen, and a daily life rich in creativity. A group of texts by experts delves into the meanings of each of these practices and makes it possible to reconstruct the dynamics of these societies. The curator of the exhibition and coordinator of its catalog, David Morales Gómez, selected writings produced in the context of the most recent studies into commerce, the ritual of the ball, work with stone, pottery, and sacrifices, thus offering a comprehensive overview of the zones richest in terms of cultural diversity. Gods, Rites and Trade in Pre-Hispanic Mexico is a crucial volume. The enduring images and significant contributions of the texts make it possible not only to examine the past of the American continent but also, and above all, to keep its memory alive. Of Bridges & Borders brings together artists and writers, combines a range of singular positions, chronicles contributions whose formats vary as widely as their content, and aims to create new readings by proximity, difference, comparison, and contradiction. Chronologically, it spans the period after the fall of the Berlin Wall to the present; conceptually, it contains a broad range of works made in a variety of media, all of them dynamically joined in a manner that consciously contrasts with the traditional encyclopedia structure. 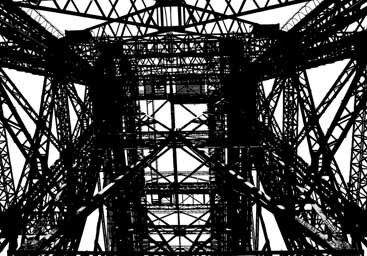 Of Bridges & Borders attempts to reflect a contemporary global memory in a free art world with more bridges than borders. Artists and curators included in Of Bridges & Borders: Ignasi Aballí (Spain), Carlos Amorales (Mexico), Hans Op de Beeck (Belgium), Erick Beltrán (Mexico), John Bock (Germany), Chris Burden (USA), Recetas Urbanas /Santiago Cirugeda (Spain), Dr Lakra (Mexico), Pedro Donoso (Chile), Elmgreen & Dragset (Denmark y Norway), Matias Duville (Argentina), Gardar Eide Einarsson (Norway), Carlos Garaicoa (Cuba), Liam Gillick (United Kingdom), Andrea Giunta (Argentina), Fabrice Gygi (Switzerland), Thomas Hirschhorn (Switzerland), Hassan Khan (Egipt), Guillermo Kuitca (Argentina), Lang/Baumann (Switzerland), Claude Lévêque (France), Nicola López (USA), Jorge Macchi (Argentina), Josep-Maria Martín (Spain), Cuauhtémoc Medina (Mexico), Gianni Motti (Switzerland), Mouse On Mars / Diango Hernández (Germany/Cuba) Antoni Muntadas (Spain), Carsten Nicolai (Germany), , Martí Peran (Spain), Dan Perjovschi (Romania), Frédéric Post (Switzerland), Reynold Reynold (USA), Muntean/Rosenblum (Austria/Israel), Tomás Saraceno (Argentina), Santiago Sierra (Spain), Ishmael Randall Weeks (Peru). Magnet: New York. Argentine Art from the ‘60s brings ti life the intense artistical and institucional dialogue that took place between our country and the Big Apple Turing the turbulent and cretive years of that decade. The fall of Paris as the hegemonic center for artistic creativity and the rise of New York as the new art mecca are depicted in Harols Rosenberg’s and Serge Guilbaut´s outstanding historical texts, wich are sharp reflections on the political and artistic happenings of the second half of the 20th Century. Andrea Giunta´s essay enrices our perspective by focussing on the action taking place in Latin America, particularly the political and social conditions that gave way to this artistic interchange. Curator Rodrigo Alonso depicts the richness of the decade, focusing on the importantant aesthetic efforts of those years, starting with painting and passing through technology, video, serial production, and other geometric, conceptual and optical proposals. A section containing photography, works, manifestos, writings and historical texts presents never before published material, making this publication a unique document Essentials for understanding the important social and historical aspects and different art movements of those years. Interviews with the majors figures from this tome, conducted specially or thios book, offer a critical perspective on the period, in with projects, hopes, successes and failures were shared. Magnet: New York is a fundamental publication for understanding the feverish creativity of these artists, the intense interchange of the continente, and the dialogue betwwn the past and present through Easterly texts anda n unprecedent body of Works, essays and documents. Purchase by phone available with American Express and MasterCard. Inquiries regarding local and international shipping. The Universe of Futurism. 1909 – 1936 book collects an essential group of manifestos, documents and theoretical texts in Spanish with more than 200 images that show the multidisciplinary character of the Futurist movement: visual arts, literature, architecture, cinema, photography, theatre, dance and fashion. Gabriella Belli, art historian and curator of the exhibition, presents her essay “Protagonists and events from Italian Futurism” unveiling the most significant events and the artists involved in each discipline that gave Futurism its personality and importance. A documentary section presents thirteen rigorously translated Futurist manifestos, which helps in the understanding of the revolt, the struggle, the will to invent and the constructive utopia for a new society, from the voices of the artists themselves. The illustrations of the most relevant works of the movement enrich this edition making it a key Spanish written contribution to understanding Futurism. This book is the chronicle of a movement “lacking past and deprived from tradition” that despite it all managed to mark an era. Proa Library continues with the contemporary artists´ interventions series. In this occasion, Mirtha Dermisache recovers her 1970s works and combines them with her current editions displayed within the Library. Within the framework of Sintonies, the works of Mirtha Dermisache make Fundación Proa’s space their own. Tables, shelves and stands will give the viewer/reader the opportunity to look at/read and travel the world of graphisms the artist has been developing since the sixties. Dermisache's work is conceived of as a sort of writing. It was Roland Barthes who included her in the category of "illegible writings" and it was the artist herself who made clear "this does not mean anything." But that she does not want to say anything does not mean it ceases to be a work with full rights, in the words of Barthes. 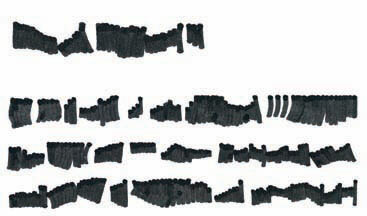 These same writings or graphisms are manifested in formats that are common in communication, including books, letters, articles, journals, postcards. This, apart from reinforcing the idea of writing, gives it some framework for readability. At the same time, in their materiality and in their expression through gestures, her works do not let us forget that their origin is in the field of visual arts, more so than any conceptualization. In perfect agreement with the destination of her works, the artist adopted an approach of multiple diffusion, including the publication and its proper forms of circulation. 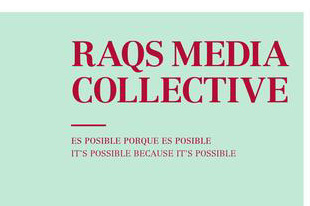 For this fundamental reason, one of the accents in this intervention is placed on a publication as important as Diario Nº 1, Año 1, 1972-1995, a work that had great impact on the world of graphics as well as displaying a strong political commitment. This piece, made available to the viewer/reader and put into dialogue with a selection of original works conceived before or simultaneously with this publication, will put on display the richness of the artist’s work, both as it pertains to the graphic world and in the variety of different formats in which it is etched. Reinforcing the above, we return to this central point in Dermisache’s work: the multiple and her decision on how to make known the reproductions of her original works. It is important to point out something from the publishing criteria offered by the artist and jealously respected by those who have been her publishers: the work must not have any printed word, only a removable cover note without which there would be no reference to the author, publisher, or collection, thus achieving absolute autonomy. This is where the work takes on its full meaning, reaching a point where the publication displaces the original -manuscript- to begin its route through the channels of the publishing world. 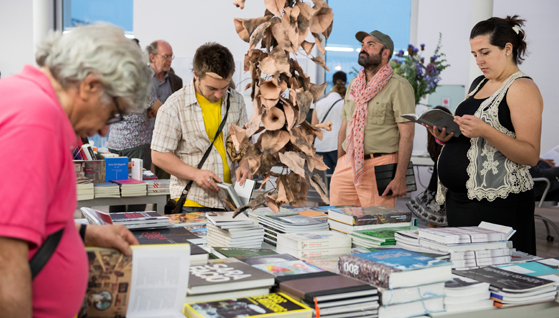 It is as such that in the Proa Bookstore the artist's recent publications will be sold, made available to the visitor to touch, read, and buy, and as such creating a space to link the publication and the viewer/reader. This intervention also has two recent works from the series Lecturas públicas and Textos murales. The particularity of these works is evident in their format and purpose. It is no longer an intimate text that one must sit down to read, but rather something that demands to be looked at/read by the visitor from a very public space, despite the fact it will not impose itself with loudness, but with the subtlety of its ink and pencil tracings. 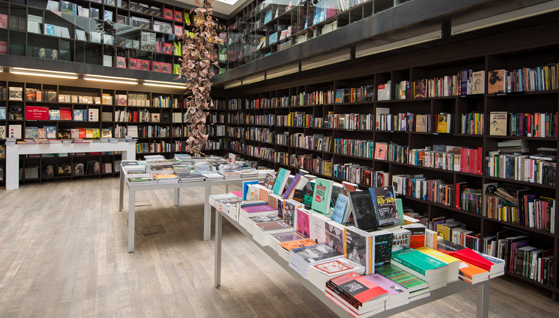 A curatorial text presides over the Bookstore, designed by the artist to initiate and encourage the public in this particular form of reading, that they may accept the challenge and let themselves be seduced by the journey of the tracings, finally to reach what Roland Barthes once called the pleasure of the text. Diario Nº1, Año 1, 1972. Offset print on paper, 47.5 x 36.5 cm, 8 pp. This work was made to be published by the Center for Art and Communication (or CAyC, in Spanish), directed by Jorge Glusberg, and displayed in the exhibition Art and Ideology CAyC in Open Air, within the framework of Art of Systems II. It was inaugurated in September 1972 and demolished by the police and municipality for its political content criticizing the government of Lanusse and alluding to the recent Trelew Tragedy (August 1972). The artist’s creative process incorporates graphisms developed mostly in her books prior to the Diario, and includes a story that allows the intervention through writing of any viewer who is so disposed. Furthermore, there is a clear symbolic reference to the act of mourning represented by a black rectangle. Taking into account the cultural horizons of those politically agitated years, the symbol made explicit what had been happening just months prior to the completion of the exposition. Guy Schraenen, its European publisher, also suggests a political reading of this and other works of illegible graphisms in times when society is silenced by coercion. 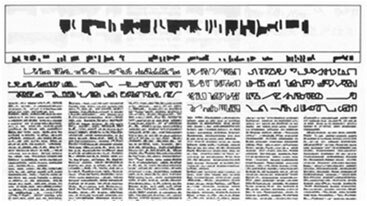 The piece has been published on five occasions: CAyC, 1972; Mirtha Dermisache, 1973; Guy Schraenen, 1975 (Antwerp); Artinf, 1974; Mirtha Dermisache, 1995. Besides Diario 1, Año 1, several other works are also presented: books, postcards, loose works, short stories, etc., which correspond to the development of different graphisms in this variety of formats of communication. The original work makes evident, among a number of details, the presence of color that from 1967 onwards was designed with the sole intention of avoiding a decorative interpretation of her work. The Public readings and Mural texts series are works begun by the artist in early 2005. The particularity of these works is evident in their format and purpose. It is no longer an intimate text that one must sit down to read, but rather something that demands to be looked at/read by the visitor from a very public space. In the retail sector of the book store are available the publications of two of these works: Public Reading, 2005, and Public Reading No. 3, 2006, published by Florent Fajole (for Le clou dans le fer), Reims and Mirtha Dermisache, respectively. Text, 2010. 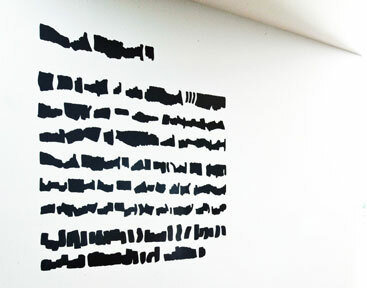 Cutting plotter on vinyl, 150 x 150 cm. A curatorial text in the Bookstore space intervenes in the institution itself with its graphisms, designed by the artist to encourage in the spectator this particular form of reading. The piece was designed especially for this occasion in the traditional format of curatorial presentation texts. She was born in Buenos Aires in 1940. She studied visual arts at the Manuel Belgrano and Prilidiano Pueyrredón National Schools of Fine Arts, respectively. In 1967 she finished her first 500-page book, afterwards continuing with the development of her graphisms, which continues to this day. Her works were published between 1970 and 1978 by the Center for Art and Communication, led by Jorge Glusberg. In the 70s her graphisms were published by Marc Dachy and Guy Schraenen in Antwerp and were also published in the magazines Flash art, Doc(k)s, Kontext, Ephemera and Ax. Additionally, Ulises Carrión exhibited her works in the gallery Other books and so (Amsterdam), and Roberto Altmann did the same in the Malmö Konsthall (Sweden). During this same time, she created the Workshop of Creative Actions in Buenos Aires. Starting in 2004 and together with Florent Fajole, she carried out a series of publishing devices that explore the dimensions of the installation and the printing process, highlighting different conceptual aspects of publications in the same spatial reality. Her first solo show in Buenos Aires was in the gallery The Edge. Later, she exhibited her work at the MACBA (Barcelona) and the Center Pompidou (Paris). Urban Spaces: Andreas Gursky, Candida Höfer, Axel Hütte, Thomas Ruff, Thomas Struth, presents a selection of works produced by the outstanding artists from the early Eighties to nowadays. Edited in collaboration with Ediciones Lariviere, the catalogue gives an intense remark on the developments of the contemporary city through the reproductions of the artworks, which create an intense dialogue with the essays selected for the occasion. Ludovico Pratesi, curator of the exhibition, and Paolo Perulli explain the complexity of the city life; the texts by Armin Zweite and Valeria González depict the path of the artists during their years in the Düsseldorf School, their work with the teachers, Bernd and Hilla Becher, and the contribution of their works in the international art context. The edition is enhanced with special sections dedicated to each one of the artists, including unpublished interviews and biographies that exemplify the diversity, contradictions and complexity of the city theme through contemporary urban life. This catalogue is intended as a fundamental piece for the understanding of contemporary art and its reflections in the present context. The bilingual edition includes a Cd with the English texts. Fundación PROA presents the intervention of the artist Jorge Macchi in the PROA Library, in which he exhibits the drawings of his book Block. In Block, Macchi offers a non-chronological panorama of the drawings he made between 1996 and 2008. So much the title of the book as its format seek to highlight the idea that the drawings were done directly on a block of blank pages. The images are shown without any background color and, in general, are placed on the center of the page. The book is sponsored by the Embassy of Italy in Argentina, with the support of Fundación PROA. The Block intervention, by Jorge Macchi, opens the PROA Library’s cultural program, consisting of presenting books through diverse points of view. In the case of the visual arts, many artists produce works in the format of books, also known as artist’s books. 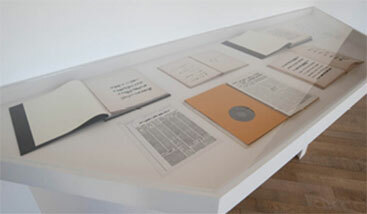 “The artist’s books is one more possibility of this creativity developed through the 20th Century, even in secret. In the archives of many artists it is common to find anywhere between notebooks to books with drawings”, explains Adriana Rosenberg, president of Fundación PROA. In Macchi’s production, books are a space of recurring experimentation. On occasion of his participation in the Venice Biennale, Macchi abandons the traditional concept of a catalogue and presented an artist’s book. “Presenting Block in the PROA Library is a different experience. While the book presents a sequence in the drawings, in the installation this sequence is lost, and it results in something else. Its an explosion”, explains Macchi. Visual artist. Born in Buenos Aires in 1963. Studied in the National School of Arts of Buenos Aires. Presented exhibitions at Blanton Museum of Austin, Texas (USA), Galician Center of Contemporary Art of Santiago de Compostela (España), University of Essex (UK), Museum of Modern Art of Buenos Aires (Argentina), Museum of Contemporary Art of Amberes MUHKA (Belgium). He participated in diverse exhibitions in contemporary art centers of Argentina and the world. He was part of the biennials of Havana (2000), Porto Alegre (2003), Estambul (2003), San Pablo (2004), Venecia (2005) and Porto Alegre (2007). In 2002 won the prize of the National Bank of Argentina and in 2005 won the Guggenheim scholarship. He showed his work at Ruth Benzacar gallery in Buenos Aires, Luisa Strina of San Pablo, Distrito4 of Madrid, Gallería Continua of San Gimignano and Peter Kilchmann of Zurich. Between 1994 and 2002 he made residences, invited by foundations and institutions of France, Netherlands, England, Germany and Italy. He lives and work in Buenos Aires. "For me, the drawing is a gymnastics. When I get to work, I put the drawing in the wall and beginning to imagine things… It works as a step, as a door towards other things. It is a daily activity, so much for outline some installation or painting, as to simply the format works I draw. It is the more immediate way of making concrete an image ". "The drawing has a very primitive character: that of the white sheet. If there appears an image that needs movement or sound, then the format that I choose is the video. Or if besides the paper, I see that it has to be in the space, then I think about an installation. But in some cases, if it satisfies all the needs that this image has, then I keep the drawing ". "I wanted to do a book that was in the limit between record and object. Then, it came the idea of doing a Block where the drawings are reproduced on every page as if they had done them directly on the white sheet. They do not have any annotation: neither title, nor year, nor nothing. Block is not a record of works but a record of images". "I believe that Block is an artist's book because the object is the important thing. It is a Block of drawings. And it reflects something that it has to see very much with the drawing: the question of the immediacy". Jorge Macchi presents Block, a book of artist that brings together drawings made between 996 and 2008, in a sort of record of images that spreads in this object with Block's format of white sheets that intensifies the idea that the drawings realized directly on it. Cleared of any track of context, landscape, background, reference to the technique, year of accomplishment, measures or collection, the drawings centre on the figures and on the represented objects. As Giorgio Guglielmino indicates in the text that comes with the book "… the background simply does not exist. The objects (real protagonists of Macchi's drawings) and the figures (as support of the objects) are suspended always in the middle of the white sheet as if they were thoughts … ". Macchi begins from daily objects and they are changed by their function and context, or establish associations with other objects that generate a different way of perceiving the reality. For him, to draw is a daily task and to be able to summarize this production, without reference of any type, reinforces the relevancy that possesses the drawing inside his work already it is like a preparatory sketch for a painting, an installation, a video, or in an autonomous way. In this book of artist, Macchi plays with the object and its content, and with the format of the real object - the Block - and its functionality: to be a support of images and of the represented. The book is a frequent format in the production of the artist of diverse ways. “The ascensión, Ten Drops and Buenos Aires Tour” are some examples. Macchi proposes to dismember the book, to extract the sheets of Block and them to spread in the space of Para Library. To disarm the book, to break the established order, he allows to show the images in simultaneously, leaving the spectator the possibility of establishing different relations among them. Hereby, the intervention will allow to raise, according to the artisa, a "vision branched out of the book". "The colors are vivacious, generally pure and not mixed, there are no blots or marks of brushstrokes. The use of the color and the simplicity of the drawing derive also from the need to shape the images of a clear, concise and fast way. Everything is clear(bright) and this brightness – that fits to the brilliancy of thought of the artist – contribuyes to the apparent naturalness and realism of objects and impossible situations ". Fundación PROA presents Proa en La Boca (Proa in La Boca), photographic books by Facundo de Zuviría that illustrate the relationship between the arquitecture of PROA and the neighborhood of La Boca. The photographer Facundo de Zuviría documents PROA´s new building from certain angles rescuing the details, forms, and elements of the arquitecture, from specifical frames in wich he rescues details, shapes and elements of architecture, resulting in a number of abstract images in dialogue with the context of La Boca. De Zuviría presents the neighborhood’s most characteristic traits: the Bridge, the Riachuelo, its houses and streets. His particular viewpoint focuses on its characteristic materials: iron, water, la chapa acanalada, and stone. With a profound wisdom he is able to put these materials in a dialogue with the construction of the new PROA, which is thus enriched by this new way of looking. The project was set forth when Facundo de Zuviría spontaneously started this series. Fundación PROA considered that, on occasion of the exhibition on Artist’s Books, it was possible to rescue the concept of a photographic album related to the city, a recurring them in the artist’s production. 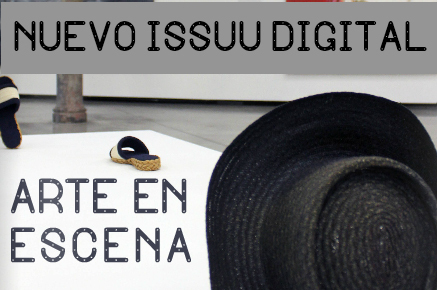 De Zuviría goes back to this concept through new medias, plotter printing, and the image digitalization. The result is a novel photographic production of single copies, which show for the inter-dialogue between the city and the arquitecture, and at the same time experimenting with new forms of current photography. “This is a project that crosses borders in the perception of images. The visitor is able to turn the pages of this book and dialogue with the photographer’s gaze. To walk through the building, and contemplate the images from the artist’s viewpoint allows for a new reflection on ways of looking. This moment of interrogation between the lecture of the building itself and the artist’s permits a reflection on the accuracy of what the eye sees, and gives the spectator the possibility to discover a new point of view”, explains Adriana Rosenberg, president of Fundación PROA. 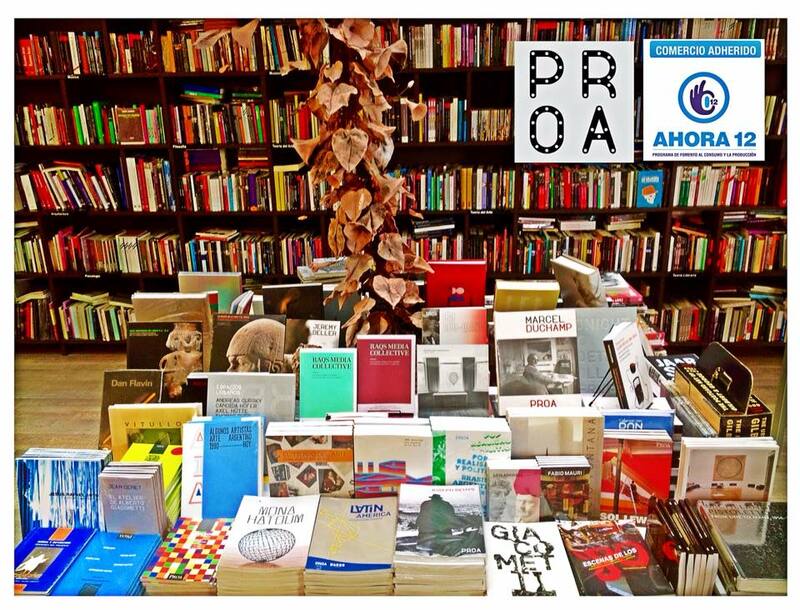 Proa en La Boca is part of the PROA Library’s cultural program, which presents books in all of its artistic manifestations. ¡Nuevo Menú en Café Proa! Catálogo de la exposición Mona Hatoum: !Sold out! Catálogo Lo Clásico en el Arte. Disponible en Librería Proa. Librería Proa: ¡Ofertas de fin de año! Catálogo de la exposición Impromptu ¡Disponible en librería Proa! ¡Oferta de Fin de Año 5 Catálogos por $100 pesos! Catalogue "Algunos Artistas / 90 - HOY"
Release of Jean Genet's "El atelier de Alberto Giacometti"
"Los creadores de un estilo. Minimalismo y Modernismo Clásico"
Leandro Katz presented his book "The Ghosts of Ñancahuazú"
The works specially prepared for the exhibition “Lindero” (boundary) are a narration of these themes throughout Proa’s building. This month the selected book is “Resolana” by the Editorial Paradiso. Sunday, August 9 at 17.30hs. will be the next open interview “Sur de Babel” in the Auditorium of the Foundation. This month the book chosen is “Síndrome de Rasputín”, of Editions Aquilina. In july, Moira Irigoyen will comment on her new book That summer through an open interview. The book of watercolors and poems "El color del agua" by Martín and Lila Reyna Zemborain is presented in the auditorium on saturday 25st of July 17:00hs. An intervention of the artist Jorge Macchi and his own drawings, in Proa Library. On the frame of TyPA Week for Editors in Buenos Aires, Fundación Typa and PROA flattered the visiting international editors with a working breakfast. The collection of Centro per l'arte contemporaneo Luigi Pecci of Italy arrives to PROA Library. by the photographic view of Facundo de Zuviría.